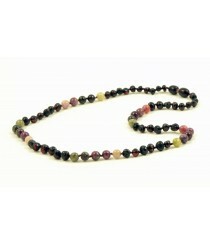 Adult Semistone Necklaces There are 12 products. 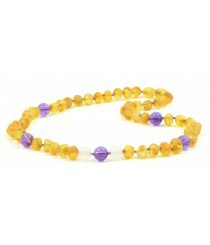 Many adults want to own and wear Amber necklaces not only because they are stunning in appearance, but also because they are believed to be effective in eliminating bad energy and providing individuals with other health benefits. 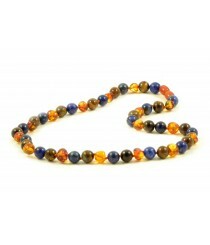 Exclusive Amber Necklaces for Adults usually have bigger amber beads than traditional ones or they combine other materials like Sterling Silver or Leather. 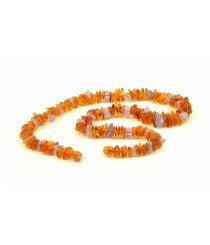 They are handmade by jewelry professionals in the region so you can be sure that each accessory is made with great care to ensure high quality. 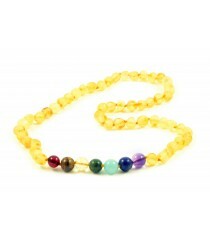 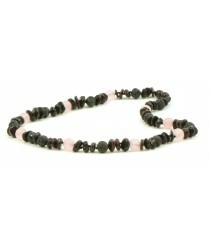 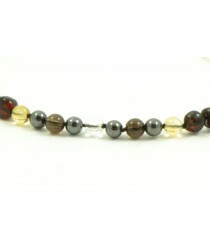 Our exclusive necklaces combine either polished or raw Amber beads. 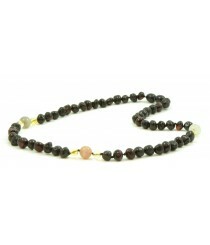 Also since this natural gemstone comes in many different colors so does our exclusive necklaces that are found this catalog. 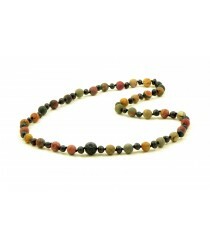 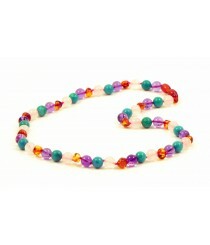 Some of the most common colors of our exclusive necklaces are green, honey, cognac, rainbow, cherry and others. 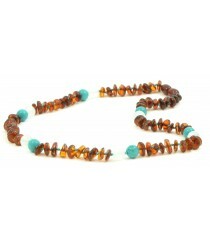 Some of our exclusive necklaces might seem like very expensive; however it is important to keep in mind that they combine quite big Amber beads.